Outsourcing means doing what you do best! The weight of responsibility of running a business never lets up. The growth from startup → micro → small business is probably the hardest. Cashflow is king so establishing a positive bank balance to see you through the inevitable troughs is paramount. Escalating fixed overheads is a fast way to get into trouble – if your income takes a hit those bills still need to be paid. So rent, staff and materials have to be a necessity, there’s no room for luxuries. But of course, in the early days you’ll want to be the jack of all trades; constantly swapping roles in a do-it-all-yourself from tea-to-MD position. And that’s all well and good but it can’t last forever. Get rich or die tryin’? Well if you’re a success the volume of work will exceed even your ability. Well depending on what is required within your business you could consider outsourcing. As opposed to employing, outsourcing allows you to pick an expert in a chosen field and then use them on a pay-as-you-go basis. But this comes at a cost and when competition is tough and you’ve become accustomed to a healthy margin, it can feel unaffordable. So what is the answer? I say: Do it yourself but factor in the cost of outsourcing. This means that in the short term you’ll pocket the additional profit but when you are ready to outsource then the cost has already been budgeted for and you won’t have to increase your prices. 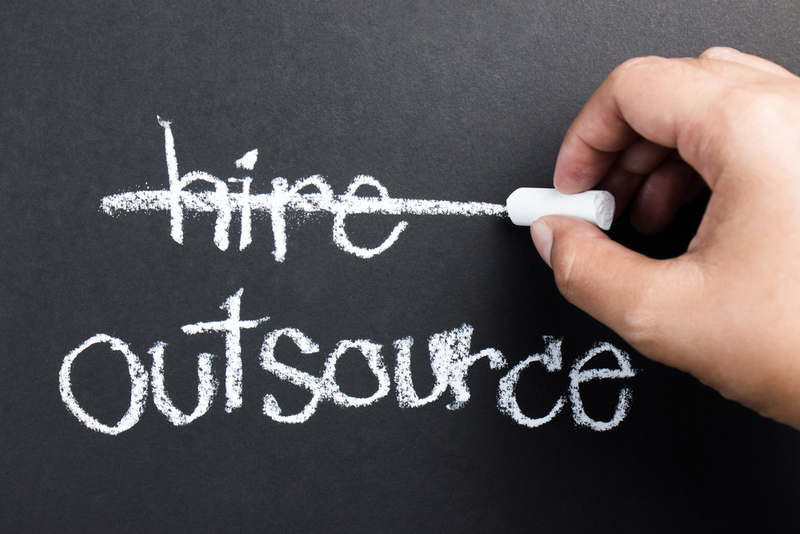 If you enjoyed this blog then you can read our other “OUTSOURCING” blog post here. Keep up to date with news, humour, client showcases, tips and special offers via our regular newsletter! The whole experience with Spicer International was first class and I was kept informed of the movements of my bikes all the way through from pick up in the USA to Worthing. I would recommend your company and staff with no hesitation. I usually don’t write long testimonials but I really can’t say enough about the unparalleled service that Spicer International have consistently provided for us. We import high value sporting goods from Europe into Australia and before we discovered these people through recommendation, the shipping side of things was a nightmare. Since having placed our business with Spicer International there is never a worry, nothing seems to be too much trouble for them and everything is always dealt with in the way we would wish. They are a great asset indeed. Spicer International collected and delivered a large, heavy household item for me. The delivery guys were amazing, particularly as a there was a difficult staircase to negotiate. I would definitely recommend Spicer International to anyone that needs their goods delivered safely and on time. We have been using Spicers for some years now and thoroughly recommend them. They are reliable and helpful, nothing is too much of a problem. We never have to worry about any parcels going missing and their rates are very reasonable. In fact, after moving our business from Worthing to Devon, we still only use Spicer International for our collections. Stuart Spicer has become a vital partner since our company outsourced our warehousing and logistics function to Spicer International. Stuart is always ready to go the extra mile, and is a great problem solver. He is honest and never afraid to confront an issue. Also fun to work with and handles pressure with great professionalism. Always served with a smile, Spicer International consistently meet our expectations, always delivering on time for a fair price. We have worked with Spicer International for many years. They play a vital part in our business, keeping our import records in check, as well as sending and receiving our exports and imports that connect us to the world. Their attitude is that nothing is ever too much trouble and always follow through to ensure the job is completed, keeping us very happy indeed. I would highly recommend Spicer to any company out there who ships goods either within the UK or globally. I ship from UK to Australia and have found the level of service I receive from Spicer International to be beyond compare, but almost as remarkable is that they are able to do this at extremely competitive rates! Who said you can’t have it both ways? I would like to recommend Stuart Spicer as, like many other business owners, I have had to place my reputation at various times in the hands of a courier company. I have done just that with Stuart and emerged with my reputation intact. His company is conscientious, good at communication and friendly to boot. In the business community, knowing a company with the capability of Spicer International is essential. Store their number carefully in your little black book.